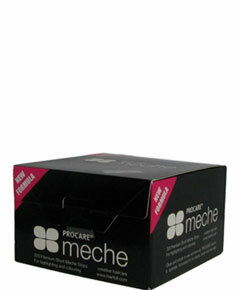 Procare Premium Short Meche Strips. Procare Meche 200 Premium Short Meche Strips. For highlighting and colouring. Clean and simple to use and remove. Procare meche is specially formulated to be clearer, faster and non-slip.